St Margaret Clitherow, a young English mother and martyr, was among the forty English martyrs canonised by Pope Paul VI in 1970. Paul Hurley SVD tells her story. Some people complain that Pope John Paul II canonised too many saints. How many are too many? During his 26-year reign he named 482 saints, more than all those canonised by the 50 previous popes in the last 500 years. But unlike these European saints, mainly priests and nuns, most of John Paul’s 482 were Asian lay people and nearly 84 per cent were martyrs – 120 Chinese, 117 Vietnamese and 103 Koreans. Some of the 81 saints canonised by Pope Paul VI were also martyrs, among them 40 British men and women. One was St Margaret Clitherow, a young married woman. Born in York in 1556, Margaret was a daughter of Thomas Middleton, a Protestant and prosperous chandler. He died when she was nine, leaving her “one silver goblet and half a dozen silver spoons”. Four months later her mother married Henry May, Lord Mayor of York. Brought up a Protestant, Margaret, like most middle class girls at the time, learned housekeeping but not to read and write. At 15 she married John Clitherow, a widower with several children. Kind and easygoing, he was also a Protestant, but many of his family were Catholics, among them his brother William, who became a priest. So Margaret soon had many Catholic friends and became a convert herself when she was 18. For a Protestant husband to have a Catholic wife was not uncommon then. Margaret had three children, two boys and a girl. They lived in Little Shambles, a narrow street in York, where she regularly helped her husband in his butcher’s shop. She was described by Father John Mush, her confessor and first biographer, as good-looking, witty and popular. Margaret lived during the reign of Queen Elizabeth I, whose Protestant mentors launched a savage persecution of the Catholic Church. Catholics were fined for not attending the new Anglican service and were imprisoned for six months for going to Mass, which was forbidden. 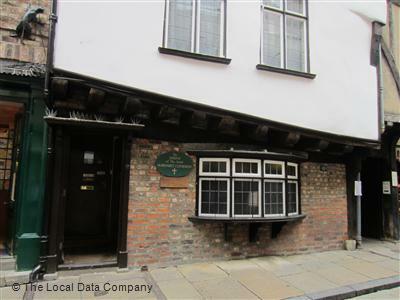 Margaret sheltered many priests in her home, which became one of the main Mass centres in York. Between 1577 and 1585 she was imprisoned several times; she learned to read and write in prison and her youngest child was born there. Her older children were also imprisoned, even her 12-year-old daughter Anne, who later became a nun. Margaret’s good Protestant husband allowed her to help priests and paid her fines. Her last and longest imprisonment lasted 18 months. Shortly after her release in 1585 it was made high treason for an Englishman to be ordained abroad and return home to minister as a priest, as some did. To shelter priests was also made punishable by death. Margaret had already sent her eldest son, Henry, abroad to be educated at Douai, where he was ordained after her death, as was one of her stepsons. 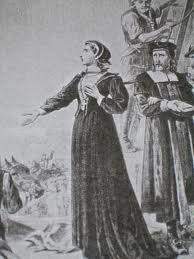 She was arrested on 12 March 1586. Her house was raided and though her children revealed nothing when questioned, a Flemish boy, a guest there, was so frightened under threat of a beating that he disclosed the secret place for celebrating Mass. Margaret was then charged with treason for harbouring priests. On 15 March she was condemned to a barbaric death – to be pressed under a heavy board loaded with weights. Judge Clinch said, “You must be stripped naked, laid down, your back upon the ground, and as much weight laid upon you as you are able to bear, and so continue for three days. On the third day you shall be pressed to death, your hands and feet tied to posts and a sharp stone under your back.” A Protestant minister and others then tried to make her renounce her Catholic faith. The last part of her savage sentence was carried out on 25th March, the Friday of Passion Week, 1586. Fifteen minutes after an extra load was laid upon her, she was crushed to death. Her last words, cried out in excruciating pain, were, “Jesu, Jesu, Jesu, have mercy on me.” She was 30 years old. Her body was left in “the press” for six hours before being buried beside a dunghill. Six weeks later it was found, still incorrupt, by some Catholics and buried with honour. On 25 March, her feast day, let us remember the beautiful Pearl of York. This article first appeared in The Word (2001), a Divine Word Missionary Publication.